Q&A: What Are Your Twin Flame Love "Lessons"? Today I want to share some important info with you. Spirit has asked me specifically to write this article for the Twin Collective, and I’m really excited to share this with you. But first of all I know many Twins are hurting, so if you’re struggling right now let me reach out a hand and tell you there are solutions, things can always change for the better. I’ve created a Free Help Kit for Twin Flames with a powerful energy cleanse tool to help you – I urge you to download this and begin using it because it will shift your journey, your inner state and your whole Twin dynamic. It has already happened for thousands of other Twins. You can have a look at the amazing experiences Twin Flames from all over the world have had with energy tools here. And if you’re tired of the “Twin Flame Rollercoaster” and are keen to start shifting your connection into a higher, happier place – eradicating separation, running and struggle both for your relationship’s sake but also for yourself and your own peace – have a look at the Vibrational Alignment Program here. It’s what got my Twin and I to Union within 18 months of our first encounter. You yourself and your Twin Flame carefully engineered circumstances, themes, “lessons” and awakening for you – before ever coming to earth. Astrology can be read as a “map” to this energetic preparation and blueprinting your did for yourself. The key to your love experiences in this life are in your birth chart of the energies you brought with you to life. Your Venus placement (and your Twin’s) can tell us so much about the plans you made for yourself in love for life… In fact, spirit asked me directly in a dream to write this article to help the Twin collective. Although Western Science in modern times has dismissed the scientific merits of astrology, it was for millennia considered a genuine “science” especially amongst the societies that invented sophisticated mathematics, astronomy and other sciences we rely on even today. To explain briefly: We live in a universe of energy. Atoms in constant motion. We are not solid, but tiny particles vibrating at particular frequencies. All the planets in our solar system, earth included, have a unique energetic frequency and powerful gravitational field. These are all modern scientific facts. When the planets move in their orbits around the sun, their impact on each other and on earth and its inhabitants shifts. Just think of how the Moon controls the tides on earth, that an outside planetary force shifts the tides in and out. The human body is largely composed of water… So, I’m sure you agree it’s not exactly illogical to conclude that planetary movements have an impact on us here on earth. Astrology can help you discover more about yourself, your path, your strengths and weaknesses – and it can also help you with your Twin Flame dynamic and making sense of this ever-unfolding journey between you. When we’re born we have a particular set of energies currently influencing us and the planet – spirit shows me this as a “map” of the energies we came to earth with, deliberately planned by you because your particular desired life path would benefit from you having certain traits and strengths and weaknesses to use and to learn from. You and your Twin Flame carefully decided how you dynamic would play out once you were born – to learn, explore and to equip yourselves to come back together. What Lessons In Love Did You Pre-Arrange? Today I want to share with you how we can discover deeper themes and “lessons” you’ve set out for yourself in this life regarding love. Your deeper motivations, your unconscious fears, your desires, what you’re attracted to and where you might need more balance emotionally and in relationships. The placement of Venus in your chart is the first thing an astrologer will look at in a love reading for you. So today, I want to show you how you can interpret this yourself to illuminate and uplift your path, to find your personal blocks so you can clear them, understand the deeper motivations behind any lingering fears and challenges to help you understand your inner love patterns and open up to unconditional love more and more. You can also go to the site to calculate you and your Twin’s “synastry” (interactive) charts for Free by using the link. 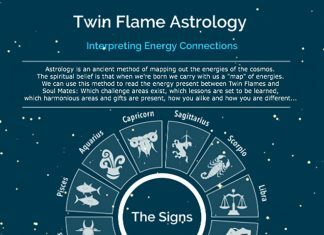 If you feel like you need some help with interpreting your astrology charts and finding out about your Twin Flame connection using the “ancient language” of the cosmos, you can get in-depth love and relationship readings done by professional astrologers here. Look for “Reports For Couples” on the right hand side, written in yellow – they have a wide selection available, including a full Psyche & Eros report and relationship forecasts. 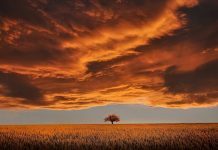 This article was suggested to me specifically by spirit and because there was so much info wanting to come through, the two part series will conclude next Friday. For now, I’m sure you’ll find many insights here that apply to yourself or your Twin Flame, or both – or parents, siblings, friends you might want to share this with. As always, I’m sending you love and light for your continued journey. You are such a beautiful soul and I’m honoured to be on this journey alongside you. Your tendency in Love: You know exactly what you want and if you want something, you want it “yesterday”. You’re not shy in love and if you like someone, you’ll find a way to let them know. You’re not scared of getting involved with a lover, but if the excitement wanes, you have a tendency to lose interest. You love the chase, the excitement of initial infatuation of love, and you are very passionate (physically and otherwise). You need someone who responds to your passion and inner fire – a calm homebody person without strong likes and dislikes would be a big turnoff to you. You embody an interesting meeting of the feminine and masculine energies and finding and integrating this balance is a important theme to you. Your Lessons in Love: Themes of learning for you revolve a lot about shifting out of the singular, out of the themes of “me vs you” and into the team and unity of being in a relationship. Being equals. There is something in you that has almost already accepted that life is lived alone and you don’t expect to find the “other half” to your heart, so to speak – you’re being pushed in this life to believe in love, and learning to balance your passion with softness. You don’t like showing weakness, and it can be challenging for you to open up in a relationship and show that you’re not always as strong as you would like. Yet there is paradoxically a childlike side to you that loves being nurtured if you’re not feeling so great. Soliciting love either through directness and impressing someone, or (later on when you feel safe with them) through sympathy. Self acceptance is an important lesson in love for you – you don’t always have to be strong or achieve a lot to deserve love. You can afford to relax into love. You always deserve love, and if you give people a chance and let your energy “guard” down a bit you’ll discover that they mirror love back to you. In many ways Aries placements are about unconscious survival instincts, about the human struggle to dominate the world in a fight against their own mortality. Getting into a state of deep knowing that you are an eternal soul in a human body, will help you relax into your own happiness so you can truly open up to love. Love isn’t about winning. Strong instinct for action, passion, can sometimes get a bit rushed/dominating. Learning to balance is a great thing. Your opposite is libra, which shows where your source of harmony lies – in a sense of team, flexibility, mildness. Spirit’s message for you: Dear one, You are safe. The world is not a bad place full of dangers you must defend yourself and others from – this is the human illusion. Your love can afford to be soft. Feel how good it feels to relax into love and flow. You are through your relationships desiring to learn about the softness in life, to merge and blend your inherent qualities of vigor and action with soothing, mild love. You have been afraid of opening your heart to love because you fear it might make you weak, to compromise your ability to defend yourself. We are here to tell you, it is safe. Love is who you are, not something you have. Open your heart, and you connect with your infinite self, who can never be hurt, never be dominated or coerced. It is from the open heart you become the victor you desire to be. Love is the key. Your tendency in Love: This is a very beneficent placement for Venus, as Taurus is ruled by Venus – an enhancement of the Venus energies, which is considered a very positive thing. Love is a central theme in your life in general, but not just romantic love – the energy and emotion of love applied to all sides of life. You are by nature a very sensual, loving person who really deep down just wants to love and be loved, for the world to be at peace and everyone to be happy. You’re often artistically gifted, having an eye for harmony and beauty and being good with creating with your hands and voice. You can be sensitive to disharmony and it hurts you to see others hurt. You want to live with an open heart and when you are by yourself and with those you trust you allow your wonderful loving self to come forth. Often, the world disappoints you, it doesn’t live up to how you know it could be – harshness really bothers you. You crave harmony, beauty, melody. Nature is your sanctuary, among flowers and animals, stones and crystals. You want to live in “heaven on earth”. In relationships, one of your challenges is possessiveness and stubbornness. 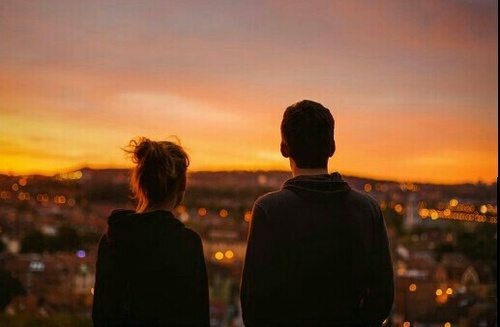 When you’re with someone, you have a tendency to treat them as if they belong to you. Attachment is strong in Taurus, and sometimes you will choose to stay with someone purely for avoiding the fear of change. Once you get used to someone you can tend to lose sight of them as their own person. You would rather not be in a relationship than be with someone flighty and unreliable – fidelity is important to you, and once you commit to someone, you’re in it for the long run. You’re not the type that’s into one night stands. Your lessons in Love: You are learning that nothing can truly be taken away from you, especially love. Love comes from within you, and shifting into your own inner center of love for yourself will transform how you interact with others. Another lesson is to not lose faith in the beauty and love of the world – if you find it disheartening to look at the state of this earth, you are encouraged to look within and nurture your own private “heaven on earth”. You are here with a unique gift of tapping into the higher vibrations of love. Your heart is big and you were born with an open heart – if you closed it, it’s because of taking on outside programming and hurt from others, so clear it to open up again. You are learning that another person can not be taken away from you – love is an energy connection. Spirit’s message for you: Dear one, You are such a wonder! You are beauty personified, from the inside out. You are the child of love, the born of heaven – here to remind the world what it has lost. You have an angelic, childlike quality that can easily feel stomped upon by human society. Go within and nurture yourself with your own love. Give your love to yourself. Find the haven within. Surround yourself with those who make you feel love, safe to open up. You are always with us. You were born with the gift of love for all things, so give it. Fear of hurt only breeds anger within you because you are locking up the love you are meant to give. You will find that when you begin to give out love in all ways, including yourself, you feel more alive, more “real”, more like yourself. You are here for a reason. The Twin Flame journey doesn’t have to be a struggle! You can reignite love and uplift your path with simple yet powerful tools. To find out how, go here. Your tendency in Love: You are by nature light, busy, active: like the clouds across the sky. You get excited about love, grow fascinated with love interests very quickly and you love the infatuation of early love. You love talking with your partner(s) and it’s highly important to you that you have mental chemistry as well as physical and emotional connections. If someone isn’t mentally attractive to you, it’s a big turn off. Once you’re in a relationship, you’re usually quite easy to get on with – you’re rarely depressed or heavy for long in love, and you enjoy the energy of socializing and excitement, also with your loved one. Discussing ideas, talking about books and events together is an important way of bonding for you. You are someone who enjoys the learning aspect of relationships, always evolving together. To stay the same and just sit on the sofa day after day would feel murderous to you. You enjoy flirting and bantering, even if you’ve been together for 15 years. Your lessons in Love: You are someone who enjoys entertaining different points of view and learning about a variety of perspectives, and you don’t easily get deeply committed to someone. You can find it hard to make up your mind, so choosing one person over others can feel like missing out to you. A lesson for you is that one person is much more than their surface, they are “many embodied into one” but unless you dedicate yourself to that relationship you’ll never get deep enough find out just how much variety that one person brings. Another lesson is learning to listen to your heart – Gemini is a busy thinker, but your mind will only confuse you in love. The mind is the summation of what we’ve learned in life and what we’ve experienced but love goes deeper than that – it’s not possible to “figure out love”. Spirit’s message for you: Dear one, we love to laugh with you, play with you, fly like a butterfly! Your gift is the lightness of love, never taking things too seriously, to fly up above with the energies of lightness and enjoyment and wonder. Never let the world tell you to “come down to earth” from your dreaming. You are a master creator of the mind – you have the talent and the gift of using your thoughts to create wondrous things in the physical realm – including love relationships. Learning to become conscious of your mental chatter and directing and focusing your thoughts deliberately will transform your life and your love connection. This will also be a fun game for you if you let it, to play with creation, to devise romantic scenarios, to dream up and create amazing experiences for you and your love. It is safe for you to be in emotion, but don’t feel you need to push yourself into feeling. You are gifted at being like the butterfly, for a reason. What if you were meant to lift others up into not taking emotions so seriously, rather than them pulling you down into seriousness? You are already tasting the joy of unity, androgyny – it lifts up, you are above polarity. You are already in the 5th dimension if you choose to be – align with yourself. In knowing different sides to every story and not judging, you are already adept at harmony. Trust yourself. Your heart knows that judgment is false, that opposition is untruthful. When you let your heart lead the course, you’ll find your heart and mind weren’t so far apart after all. Begin clearing your blocks right now to open up your path, invite in more love and joy and learn how to use your manifesting powers to their fullest. Go here to discover how. Your tendency in Love: You are by nature romantic, loving, sweet and emotionally oriented. You want to love the whole world, and you find it easy to tune into others’ emotions and take care of them. Spirit indicates that since you were a child it’s been natural to you to take care of animals, teddy bears, siblings and anyone you met on your path. In love and relationships, you are loving and mild, and people sometimes take advantage of your loving nature. Learning to set boundaries is important for you in love, and finding someone who respects your love and is your equal. We receive a warning from spirit that you have a tendency to want to rescue others, and this is a downward spiral – you are encouraged to set boundaries and set your standards high, so that those you attract (even if you already know them) reflect back to you the love and respect you deserve. The unconscious realm of emotions is ruled by the moon and Cancer so it plays a large part in your love experiences in this life. If you are having challenges, look deeper. Unconscious fears and even picking up on others’ feelings can be a big challenge for you – learning about your own inner issues can be transformative. If you push emotions and fears down, they feel worse for you. Shed light on them to feel relief. Your lessons in Love: You are very sensitive to energy and often shield yourself from hurt, and you tend to feel bad seeing others suffer – putting yourself in their shoes. You are very empathic and you can veer between wanting to love and rescue the whole world, and shutting everything out with bitterness to protect yourself. A challenge for you is to not project onto others that they need protection or healing. Allow others to travel their own path. The truth is that everyone is an infinite being and are infinitely strong if they are allowed to be. “Mothering” someone (whether you’re a woman or a man, this can be a tendency for you), can feel oppressive to others because it is disempowering to them, it carries in it the energy that they are weak and need to be taken care of. Although it’s meant well, remember that you can love from a place of inner joy rather than taking care of others – you are allowed to enjoy the love and let it carry you up. Remember always that pity isn’t love. Romantic love is so important – you have a tendency to allow family to come first, but this is your life for the living and you deserve to experience the ecstasy of blissful union in intimacy and love. You are learning the amazing, high gift that what keeps human beings out of love is the illusion of suffering. You have first hand volunteered to feel in your own body the “realness” of emotions and how violently they can lift you up or tear you down, depending. Beyond the clouds of emotion, love is always real. But “buying into” emotions keeps people locked out of love, distracted from it, separate from the joy that is your divine right. You are here learning about the power of love. When you know the strength feelings have, you can feel the difference between hurt and love. You are an expert at feelings, and you have everything it takes to live from a place of love, never experiencing suffering again. But to do that, you must detach, you must understand that the feelings are visitors. They are not who you are. To learn about detachment from emotions so you can free up to fully allow love to be your life, first begin to write down the things that bother you. This externalizes it. Shows you feelings as separate from yourself. Another thing is use your emotions to feed into creativity, this also externalizes it. Remember also that you deserve love in all ways, and that you are love. Center into the knowing that you are the light, find it within, in the pit of your being, and radiate out from there. From this place, you never need to protect yourself. You are the universe! Blocks to clear to fully open up to love: Fear of being hurt, fear of opening up, fear of your own emotions (the bigness of it all), fear of others abandoning you, fear of being alone, fear of own perceived weakness, fear of standing up for yourself in case others reject you. Go here to learn how to clear your energy and heal old hurts to lift your vibration and move out of the rollercoaster of emotions for good. Your tendency in Love: You love the romance of love, the drama, the gestures, the grand expressions of undying commitment. When you are in love, you and your lover are King and Queen and bask in the sunshine and glory of love. You have a natural gift for the good life, living life from a place of love, an open heart and you are brave. You’d rather gamble on true love and lose than never try. Love is a priority for you – it’s often but not always expressed through romantic relationships, but if it’s not you are a talented designer, actor, painter, artist – the drama of creativity and romance comes out somehow! Once you have found your king or queen they are the light of your life – you don’t like holding back, you like playing all out, enjoying life to the fullest, and when you have chosen someone to be by your side they are lifted up in all ways. You are very loyal in love, although you enjoy the chase of romance and flirting. Some of your shadow traits in love are projecting onto others. Not everyone can be a king or a queen every day, and sometimes you get disappointed or irritated at seeing the less desirable traits in a person. In a way it’s a gift, that you can see the best in someone, see their potential rather than their fallible “human” self, but sometimes it can be more tactful to relax your expectations. Ego is another shadow side of Venus in Leo, that you project your vision onto the other person instead of allowing their true self to shine through. You also find it hard to show weakness to another, and it can be disheartening to you to have to let your beloved know that you’re not “perfect” and strong in all ways. Your lessons in Love: Learning to open up to your beloved and allowing them to see you as the wholeness of your being. You don’t want to disappoint, just like you don’t want to be disappointed. But the truth is that you are perfect and whole and strong in all ways – as your soul you are never weak or flawed, so the paradox is that the more you open up and allow your human weakness and flaws to be seen, the more your inner light shines through and that is the real truth of who you are. Center yourself in your inner light, and you can open up from a place of love. Another lesson for you is to learn seeing things from the other person’s perspective, to let your ego relax and understand that love is about unity more than anything – especially for Twin Flames. You already are one, you’re not two people together, you are one soul expressed in two bodies. Spirit’s message for you: Dear one, we salute you. From heaven to earth, you never forgot what it was all about. Love. You feel it in your bones, that there is more to life than human society leads you to believe. You know there is grandeur, there are big things in store for you and for all. Never lose your feeling of bigness and meaning in life. You are an infinite being – yes, you are a King or a Queen! Yes, so is everyone else! You are so good at lifting up others, helping them believe in themselves. You are power and you are love. It takes so very little for you to tune into and live from the power of love, the light of all things. Follow your natural instincts and you will go far. We stand by you. You are a leader in love, someone who is gifted at helping others tap into the wonder of romance. Romance deserves a central place in your world, and you are here to teach it. Life really can be magical, heightened, heaven on earth – you know it deep within and don’t let anyone dissuade you. The map is in your heart. Learn how to manifest your Heaven on Earth and fully express the power of love into the physical reality through Twin Flame Union, by consciously directing energy and clearing energy blocks! Go here to find out more. Your tendency in Love: You are very talented at the “service” of love, loving to heal others. Spirit shows that you are a natural healer of emotions and energy. You can feel the heart of others and know what is wrong. You feel that you are here to heal the world, and that you have an important mission in life. Sometimes it depresses you to feel that you haven’t “done enough” with your life, and you can often downprioritize your own love, romance and personal happiness in favor of work and helping others. Venus in Virgo (also a tendency for Venus in Cancer) often expresses the pattern of the “martyrdom” of love – being there and loving others and sacrificing so much you feel neglected and abandoned and invisible. Remember you have to let others know what you need from them – you deserve love and attention just as much as anyone else. You can be extremely self critical and can often hold back from engaging with others or opening up to them. Self love and relaxing your standards is a big lesson for you. This energy is strongly self-limiting, there is a powerful feeling here of feeling alone deep down, even in a crowd of people – if so it’s because you don’t love yourself. On a deeper level there is an alienation from self to this energy. Spending time nurturing yourself is a powerful thing for you – to learn to take care of yourself the way you would love a pet. To above all know that it’s OK to be “selfish”, to enjoy yourself for “no reason”, to experience the fun of love and to enjoy sensual delights. You don’t have to be so hard on yourself. You are always loved. Love is who you are. Your lessons in Love: Learning to love yourself above all. Self love and accepting yourself in all ways is what will “unlock” your outer relationships into mirroring this back to you. There is a “stinginess” to Venus in Virgo. A feeling of inner emptiness. Although you are talented at serving others and being there for them – the “world” in general, you can be a very good activist for the environment – you are often stuck in the pattern of directing all your love out. There is a sense that you have cut yourself off from the generosity of the universe, from the flow of love. When you relax, stop trying to control everything, you can allow the flow of infinite light and love to come forth through you, fill you up and then out onto the world. Careful you’re not neglecting yourself and love by being so busy taking care of tasks and other people – love is a mutual thing. Saviour syndrome – fixing up others, “rescuing them”, isn’t going to satisfy you long term. Pity isn’t love. Others can drain you if you let them, so remember you’re not there just to rehabilitate others and support them – you’re here to receive and enjoy love too. You could benefit from deliberately focusing on softness, romance, fun, play, lightheartedness and sensuality. Even if it goes against your “nature”, surround yourself with these things to balance the energies – fluffy things, nice scents, indulgence. Remember to ground yourself, and not to be “in your head” all the time. Spirit’s message for you: Dear one, we are so grateful for everything that you do. You have already helped so many in your lifetime, just from being you! We want you to know that your biggest mission, your biggest contribution is to love and cherish yourself. Just being who you are, helps others. When you do this, your whole energy field radiates light onto this planet and helps others too. But in order for this to happen you must center within yourself and find the light that you are, to dwell in inner love. Move away from your duties and perceived requirements, all the shoulds and musts, and relax. This is what we ask of you, for you to unlock your divine mission, to experience love fully. Let go of the outer duties, and relax. Of course, do what you need to stay financially and physically cared for, but the more you can let go of your outer duties, the better. What we ask of you, paradoxically to your senses, is to do nothing. You are usually so busy mentally, and so good at finding what can be improved upon, that it is good for you to do nothing. Think nothing. Drift along the river of no thoughts, no cares. This is your mission – to dismantle the world’s perpetual perception that there is something wrong. With you, your love, the world. What is there was nothing wrong? What if everything was in perfect divine order? This is why we say go within, to the space where you and the universe meet and you are pure light. There, nothing is ever wrong. All is well. When you’ve found this space of completeness, of peace – then you may go out again into the world and into relationships, but from a new place of wholeness. Your whole world will be transformed. All is well. Self love can be difficult to shift into because of ingrained 3D programming that says it’s not OK to love oneself – but you can clear that programming right now to open up the flow of love, uplifting your path and attracting Union from a place of wholeness within. Go here to find out how.